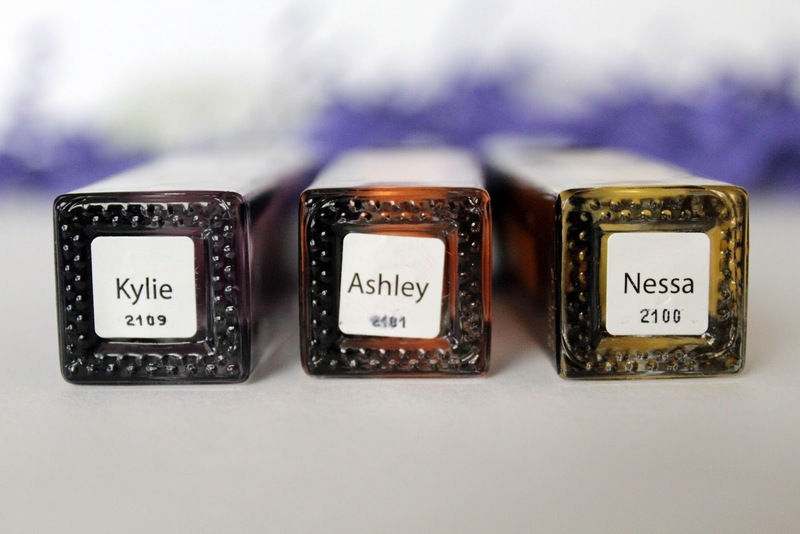 My May Julep box came the other day, so, I wanted to share with you a few new friends I'm adding to my nail polish collection. I went with the It Girl style this month because I loved the yellow/orange combination. Great spring colours! Plus, there was a magnetic polish. Julep is having another promo this month -- so, if you haven't purchased a Julep box before, you can get your first box for a penny! Click here (Link! -- ps, this is a referral link), take the style quiz, and then use this promo code on your purchase: SHAREONMAY. One cent! How do you say no? Haha :). Bright, shimmery yellow. It reminds me of a sheer version of Chanel Mimosa. Remember when that was all the rage last year? It applies nicely, like I said, a little on the sheer side. It takes two to three coats for an even, opaque finish. Overall, I'd give it ♥♥♥♥♥. Shimmery orange. I love the colour of this polish and it applies nicely. 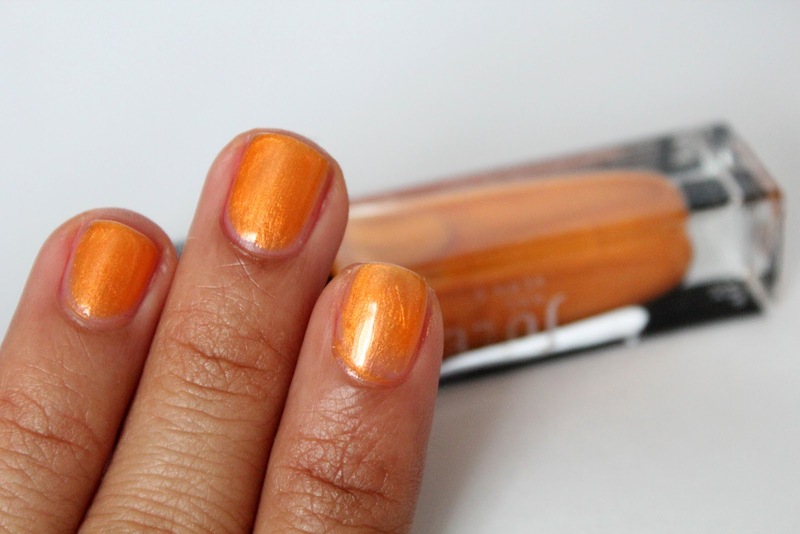 Similar to Nessa, it takes two to three coats to reach opacity. One thing I wasn't a fan of was the brush. 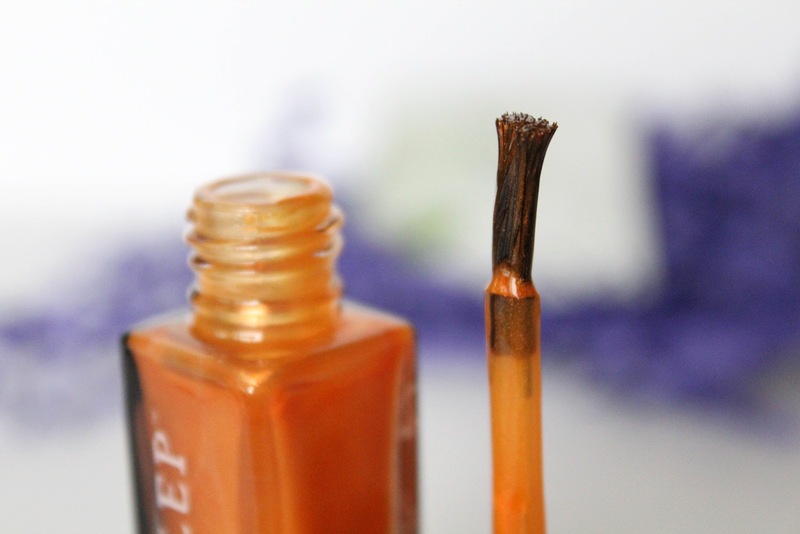 Unlike previous Julep polish brushes, the one for this bottle was splayed out. This made for a tricky application. Aside from that, I'd give it ♥♥♥♥♥, for the simple fact that I love the colour. A magnetic violet. The colour isn't that unique, but the fact that it's magnetic makes it special. It even comes with its very own magnet. The polish applies beautifully. Opaque in one coat but two makes for an even finish. I haven't quite mastered the magnet art design (as you can see below). I botch it every time. 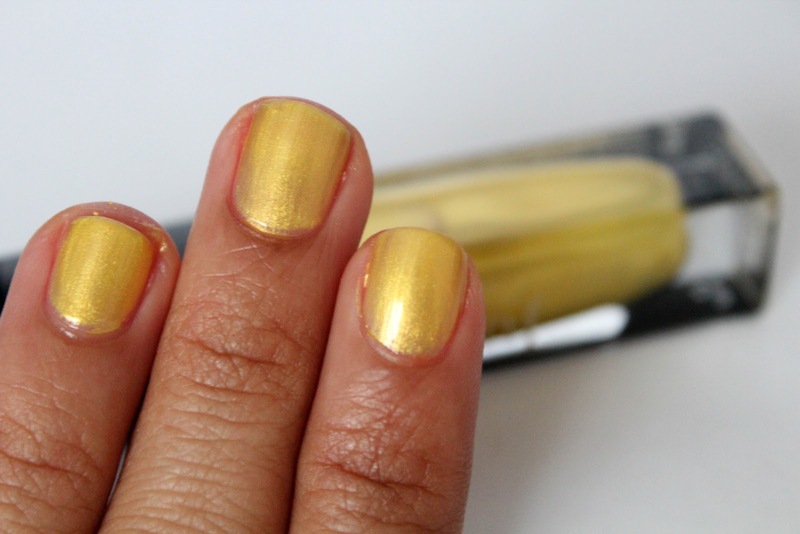 Without using a magnet, the polish has a metallic look to it. 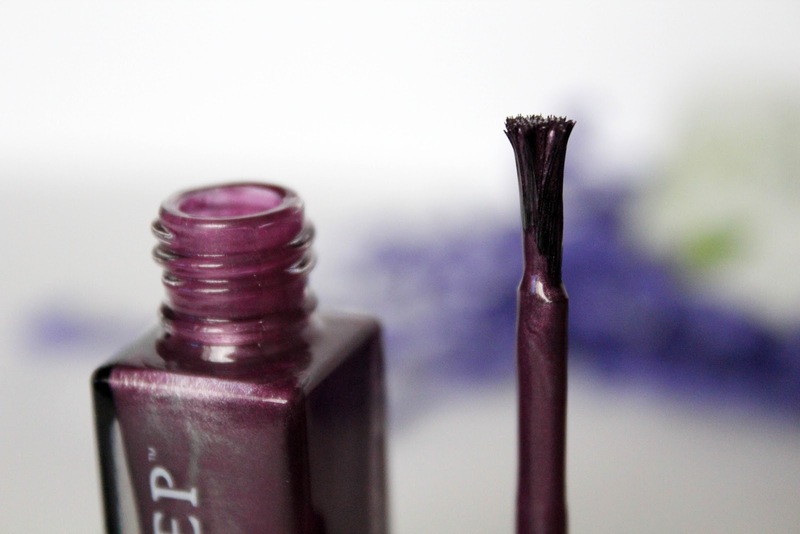 It does look cool when it's magnetized because the layer of silver separates from the violet base for a striped effect (at least, in theory -- the promo pictures on Julep's website probably give it more justice). Once again, the brush in this bottle was splayed out. Weird. Overall, I'd give it a ♥♥♥♥♥. 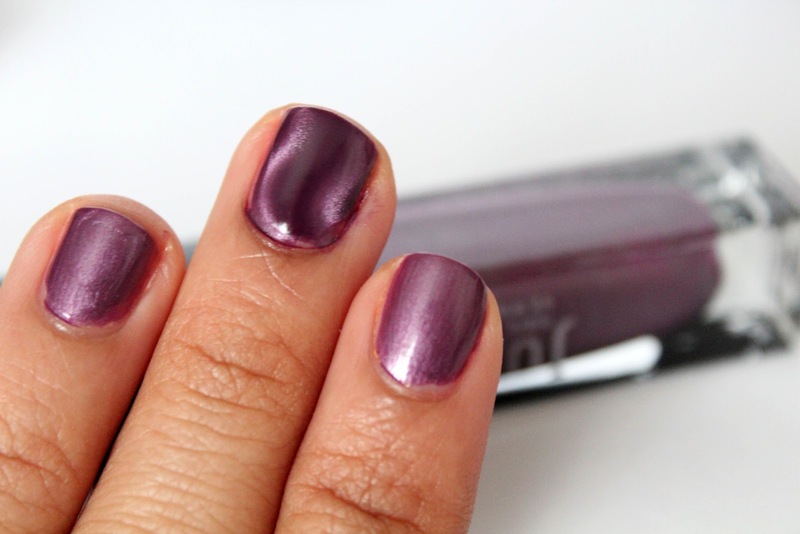 Have you tried magnetic polishes? How do you get the accent stripes right? Is there a trick I'm missing out on? I think the weird brush thing was a common problem for a lot of people this month... I'm pretty sure they'll send you some replacement brushes if you send them an email. I find that the magnet polish work best if you apply on a thicker second coat and make sure the magnet is as close as possible. The colours are very pretty. Kylie is absolutely gorgeous. I picked Bombshell this month - I wish that I had picked It Girl instead!!! 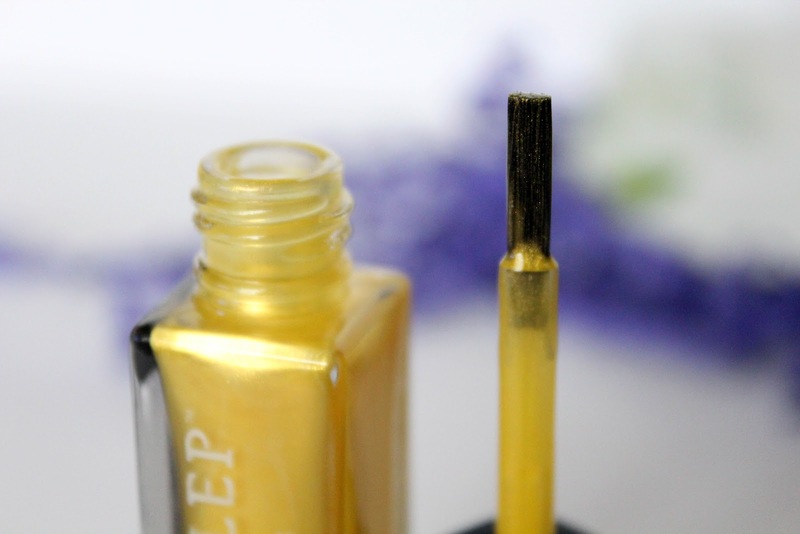 As another commenter noted, Julep has said they'll replace brushes that are faulty- it seems a lot of people got these weird applicators this month! hope this isn't a recurring trend for Julep! I got the It Girl box as well and my brushes were f'ed up (pardon my French)! Great colours though right? I ordered Ashley as an add-on but haven't had a chance to swatch it. Thanks for your pics! I love the yellow polish but haven't really tried any as a nail technician told me years ago that yellow doesn't look good on me :( It looks great on you though!